One new feature is the new sort button (upper left) that allows you to sort your food in different ways: by effect, by type and by ingredients. The menu page selection buttons also have a pronounced highlight effect denoting which page you’re currently on. 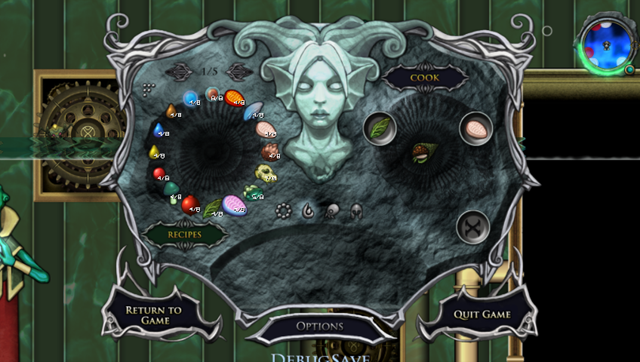 The recipe menu now displays the effect of the highlighted food at the bottom of the scroll. Fun Fact: The cooking preview feature was originally suggested by Graham Goring! This entry was posted on Monday, April 14th, 2008 at 4:31 am	and is filed under Aquaria, General Bit Blot News. You can follow any responses to this entry through the RSS 2.0 feed. You can leave a response, or trackback from your own site. That’s a really important feature! Thank you! Thank you. Now, I can’t WAIT for the Mac version to come out! How do you cook underwater? Is there some sort of heat source down there? Guess I’ll add my thanks as well, so these nice changes don’t feel unappreciated. Both of these are very welcome. This 1.1.0 patch might warrant a replay. Yet another utility for Energy Form, I guess. Naija sings a short “cooking song” to combine the ingredients. Great! I always forget on which page the ingredients are and while cooking, I’m constantly scolling through them, so sorting is cool. Great! So when’s this patch going to be available? The Windows patch will come out sometime after the Mac version is released. Any sort of timeframe on the Windows patch, Alec? I’ve been checking this site a few times daily; wondering if I should hold off for a couple of weeks, or is it coming sooner than that? Will we be notified by mail? 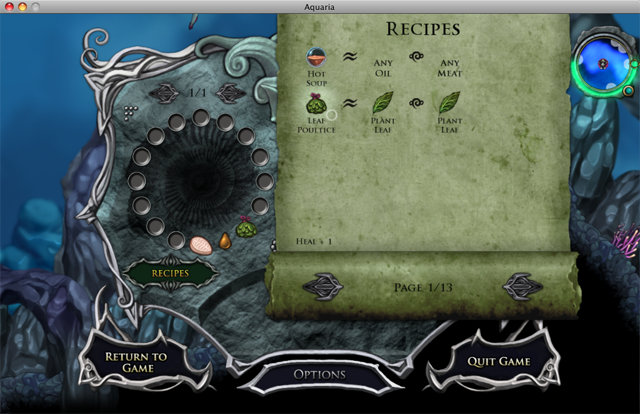 When I was playing I often found myself thinking of ways to make the recipe book more functional. For example, place an ingredient in the spot before you open the recipe list and have it filter only recipes featuring that ingredient. 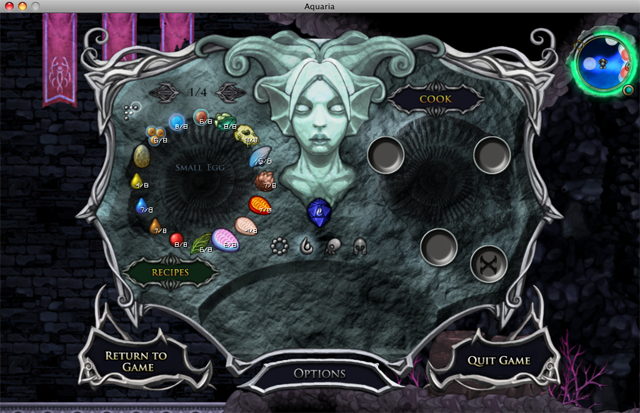 Another idea was simple clicking on a recipe to automatically cook it. I appreciate you for giving the warm and helpful, dependable, educational and also easy guidance on the topic to Jane. Good sharing of concept here in any manner thanks for posting valueble information..before I could thank allowed coment in your blog, I buy plenty of information within you, I wish I possibly could be a lot more information from you . Производим оформление витрин, входов в магазин, фасадов, выставочных стендов, собственное ПРОИЗВОДСТВО всех необходимых компонентов.